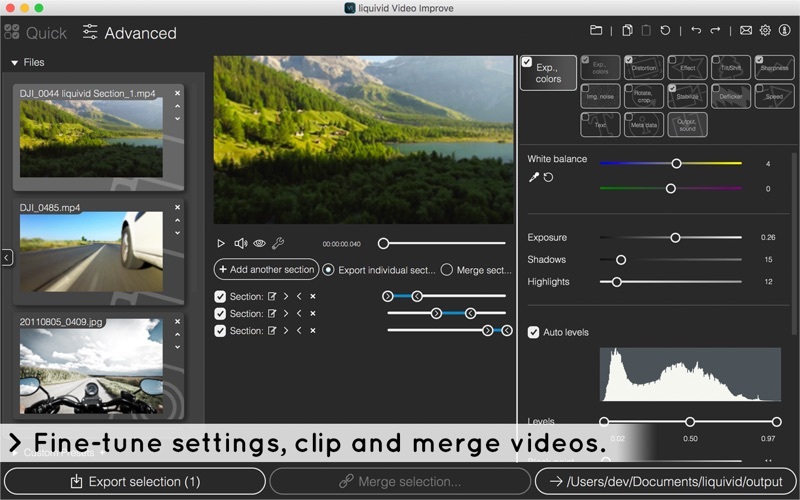 Liquivid Video Improve is an intuitive, easy-to-use editor for your videos and photos: Clean up and improve all your captures with a single click & have more fun viewing and sharing your memories. 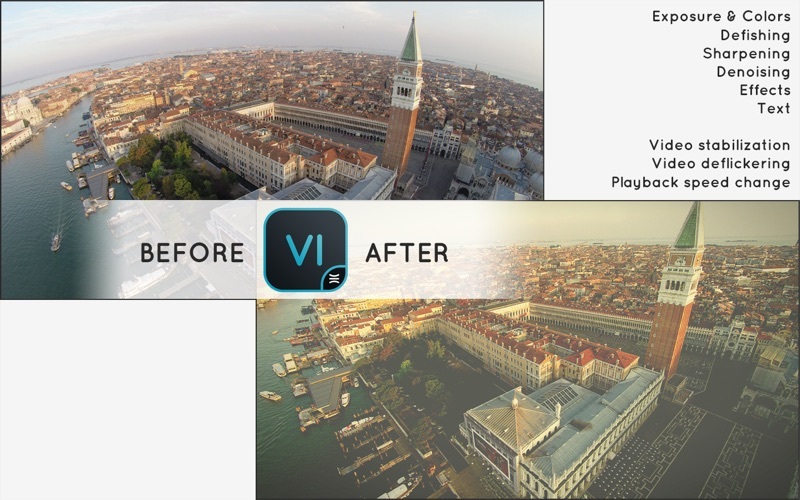 Liquivid Video Improve offers many appealing visual effects, fixes lens distortion caused by wide angle lenses (as in most actioncams), removes camera shake & image noise and improves colors and sharpness. 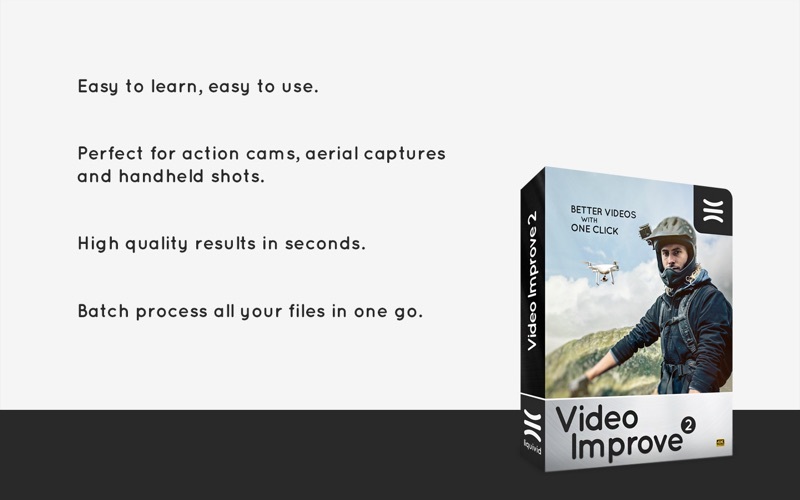 Basic video cutting, batch processing and support for all common video formats, codecs and resolutions make it the tool of choice for everyone who wants to get more out of their captures. Defishing / lens distortion removal. 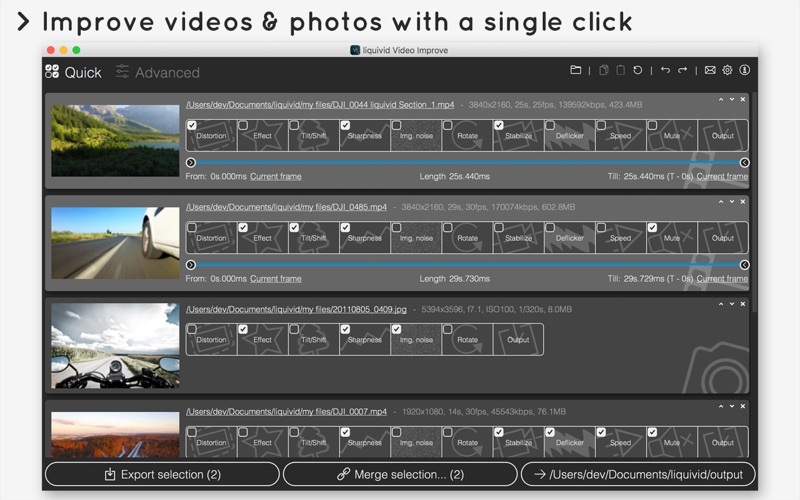 Builtin profiles currently include: GoPro Hero3, Hero3+, Hero4 & Hero4 Session, Hero5 & Hero5 Session, Hero 6, Sony DSCRX0, HDRAS100V, HDRAS50, HDRCX220, FDRX1000V, Drift HD Ghost, SJCAM SJ4000 & SJ 5000, DJI Phantom 3 & Zenmuse X3, Garmin VIRB, Parrot Bebop 2, Ricoh WGM2, Rollei 6S, Rollei 410, Zoom Q8, GitUp Git2, Mobius ActionCam (lenses A, C2), Yi 4K, Olympus TG Tracker.